The Christian worldview is based on a metanarrative. That is, it explains all of reality based on what the Bible describes as the origin of mankind. It explains how God is seeking to redeem the world after he sent his own son into the world to lead us back to God. The Christian worldview is based on a three part paradigm of history. The parts include 1) The creation, 2) The fall of mankind into a sinful state of reellion and 3) The redemption of creation (both mankind and the earth). The following video gives an overview of that metanarrative. 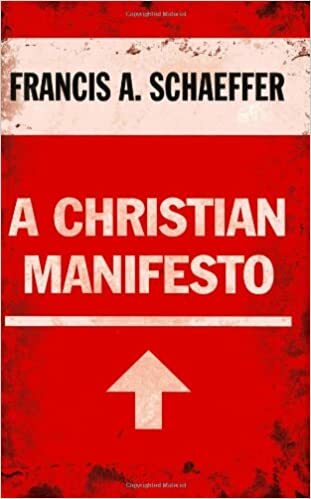 Francis Schaeffer describes the importance of a Christian worldview and how it gives a holistic explanation and guidance for all of life - total truth. He also explains the tensions that exists with the people who come from other worldviews that give different explanations of reality. He further explains why worldviews are so important and how they affect every facet of our lives. 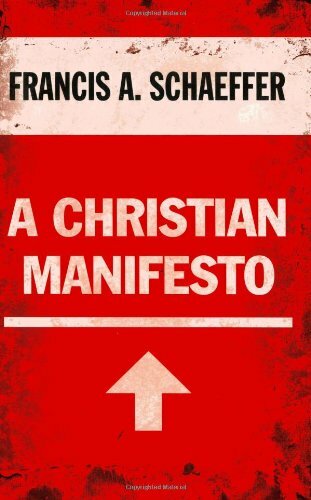 Francis Schaeffer explains why our culture is breaking down morally. He explains how our culture has shifted historically from a Christian worldview to a humanist worldview. The result is that the basis of all reality is now explained from a naturalistic worldview. From this perspective materialism is all that exists and it has taken its current form by pure chance. Humans are nothing more than elements that came together by ranom chance. Nancy Pearcey addresses worldview and its impact on the arts. Nancy Pearcey discusses the importance of a biblical worldview. Does God belong in the public arena of politics, business, law, and education? Or is religion a private matter only-personally comforting but publicly irrelevant? In today's cultural etiquette, it is not considered polite to mix public and private, or sacred and secular. This division is the single most potent force keeping Christianity contained in the private sphere-stripping it of its power to challenge and redeem the whole of culture. In Total Truth, Nancy Pearcey offers a razor-sharp analysis of the public/private split, explaining how it hamstrings our efforts at both personal and cultural renewal. Ultimately it reflects a division in the concept of truth itself, which functions as a gatekeeper, ruling Christian principles out of bounds in the public arena. How can we unify our fragmented lives and recover spiritual power? With examples from the lives of real people, past and present, Pearcey teaches readers how to liberate Christianity from its cultural captivity. She walks readers through practical, hands-on steps for crafting a full-orbed Christian worldview. 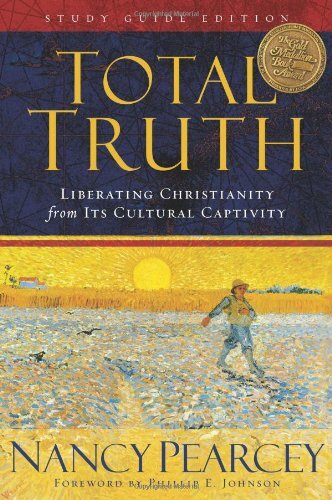 Finally, she makes a passionate case that Christianity is not just religious truth but truth about total reality. It is total truth. This new study guide edition is filled with fresh stories, examples, and illustrations. Based on questions and comments raised by readers of the book, it is ideal for individual or group study. Conceiving of Christianity as a "worldview" has been one of the most significant events in the church in the last 150 years. In this new book David Naugle provides the best discussion yet of the history and contemporary use of worldview as a totalizing approach to faith and life. This informative volume first locates the origin of worldview in the writings of Immanuel Kant and surveys the rapid proliferation of its use throughout the English-speaking world. 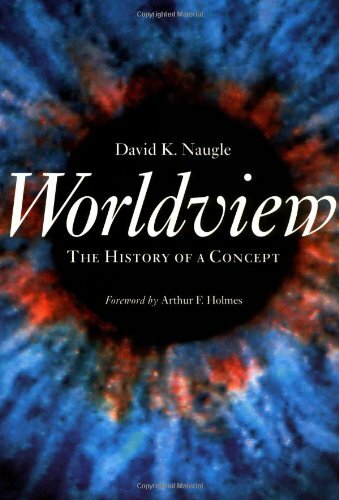 Naugle then provides the first study ever undertaken of the insights of major Western philosophers on the subject of worldview and offers an original examination of the role this concept has played in the natural and social sciences. Finally, Naugle gives the concept biblical and theological grounding, exploring the unique ways that worldview has been used in the Evangelical, Orthodox, and Catholic traditions. This clear presentation of the concept of worldview will be valuable to a wide range of readers.